Hey, lucky you! We are offering a 20% discount on one of our most popular tours for next winter. Book your adventure now and prepare for an exciting hunt for the Northern Lights. Driver Guide Tablet Included with Every Self Drive Tour! Hit the Icelandic roads without the worry of finding your way, accommodation, or highlights along the way, to truly focus on the experience and enjoy the moment. Explore the island for 8 days and 7 nights on a classic road trip. Iceland is a unique country of natural attractions from sprawling glaciers, beautiful black beaches and historic sites to lesser known gems along the ring road. Explore the enchanting regions of South and West Iceland to the pace of waterfalls, glaciers, and hot springs on this 6 days / 5 nights tour. Discover the real Iceland by staying in lovely farms or farm-themed accommodations, connect with locals, and take part in activities, hosted by farmers, around the island. Explore some of Iceland's most precious natural attractions, the Golden Circle: Þingvellir National Park, the spouting Geysir and the powerful Gullfoss waterfall. Explore the fascinating natural and historic sights of South Iceland, such as the 'Golden Circle' attractions and Skaftafell with its magnificent glacier views. Tailor-make your own itinerary where you decide where to stay and if you prefer rooms with shared or private bathroom, for how long and what type of rental car. Available all year. 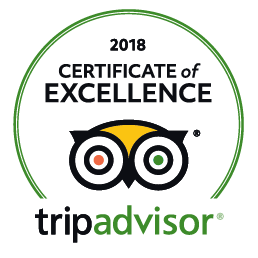 “Awesome trip!” We stayed a week in Iceland and our favorite part of the trip was while in the country and staying in Farm hotels. We did one of the self-driving tours and loved the freedom to plan our day and see what we wanted. You are sure to find the perfect accommodation to relax and rejuvenate within our vast network of over 170 lodgings; ranging from small, cosy and rustic to larger places perfect for groups. All are located in the peaceful and beautiful Icelandic countryside; carefully selected to ensure that you get a good night’s sleep! A selection of hiking trails in Iceland to satisfy the outdoor enthusiast in you and useful information to guide you. Check out our fun and short hiking routes in North Iceland now! Travel and run, is there a more invigorating way to explore and absorb a destination? Get inspired by our selection of trails and races in Iceland, spread all over the country and held all year round! 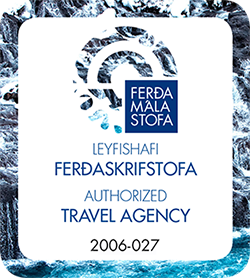 Hey Iceland is certified by Vakinn, the official quality and environmental system in Iceland, which means an annually independent evaluation of all aspects of the travel agencies business practices.